Our home away from home. Just redone and remodeled. For rent to families and adults over 25. Children welcome; however no pets. 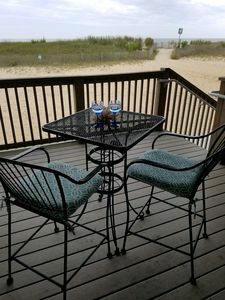 Thru us get discount in season rates, all weeks less than $1199! Available off season also, mini-weeks subject to availability at negotiated rates. We are very flexible, just call or email with your needs or any special requests. 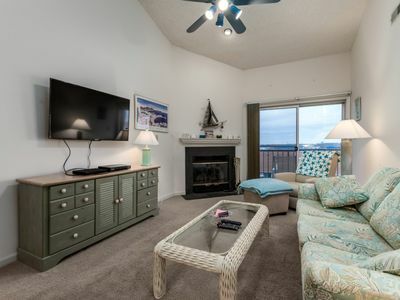 The fireplace will keep you warm in the off season, The central A/C will keep you cool in summer. 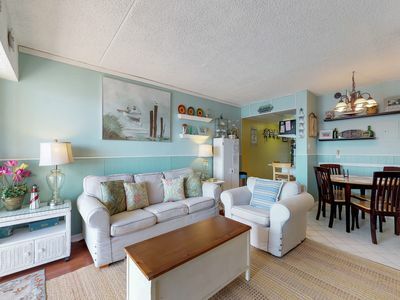 This quaint little townhouse is on the water off of 94th Street (Bayside). 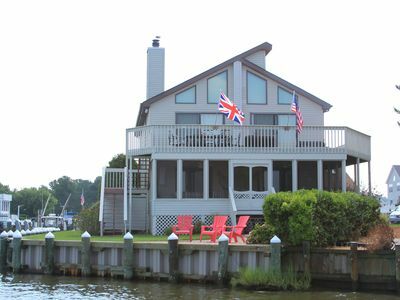 Take five steps down off our back deck onto the boat dock. Bring your kayak, canoe, boat, waverunner; there is a public boat ramp in our neighborhood for launching then tie up to our dock. 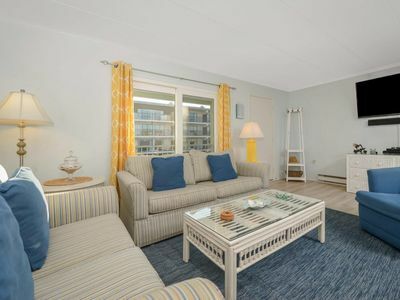 On the first floor is the fully equipped galley kitchen, full bathroom, washer/dryer, living room, convertible sleep sofa with a queen mattress and waterfront deck. Upstairs is a bedroom with a queen, a loft (climb up a ladder) with a queen and a sleeping niche (single/twin mattress) for a child. 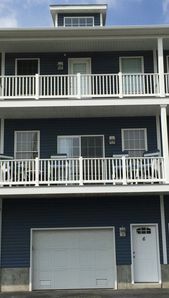 There is also the upper deck which faces the parking lot (great sun) and a 1/2 bath. 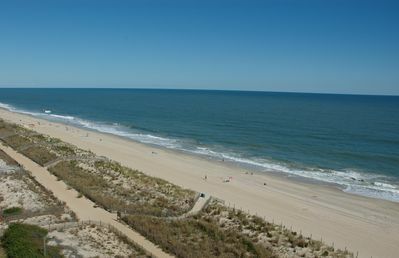 The beach is a short walk down Rusty Anchor Road and 94th Street. 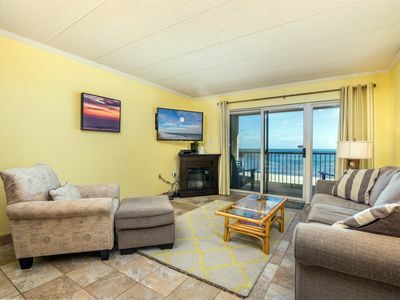 As mentioned, you can also suntan yourself on one of our two decks, while you use the community grill and sit around the table or lounge in a chaise. 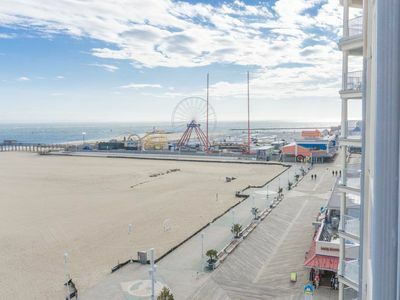 The new CASINO is a short 10-12 minute drive and with all the restaurants, amusements, boardwalk and other amenities right here in Ocean City you will never run out of entertainment for you or the kids. 94th Street has several restaurants on the corner of Coastal Highway. There is also a 7-11, ACME/Safeway grocery store and a Roses. 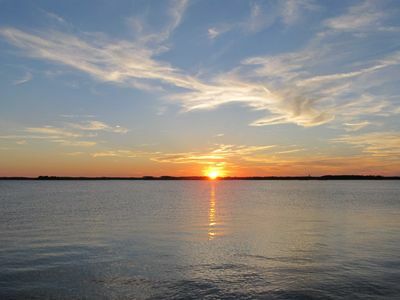 The best thing though is if you want to stay home and enjoy the peaceful serenity of the sunsets that's also an option. Parking is free in front of the unit. Limit is 2 vehicles. All sleeping areas have a Television/VCR/DVD. ROKU/Netflix is on the TV in the living room. The stereo downstairs (with Satellite Radio, cassette & CD player) can be listened to as you watch that beautiful evening sunset or sunrise over the water from the deck/boat dock. On 94th Street there is a public park with tennis courts, a playground and basketball court, about a 5 minute walk. Shopping - Ocean City outlets are just across the bridge and Rehoboth Beach with hundreds of outlets is about a 1/2 hour plus drive along Coastal Hightway. 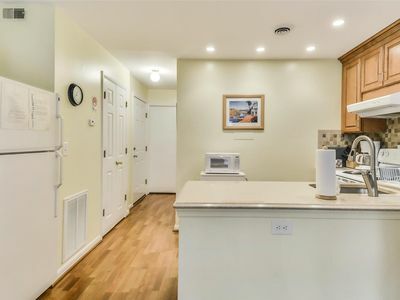 This is a non-smoking unit in a FAMILY area (not for the high school or college crowd). Beach at 94th Street is wide and free so help yourself to our beach chairs or cooler for your use. They are stored in our little shed on the lower deck. Internet is wireless (or use our ethernet cable) inside or sit outside on the water or at the dining room table to surf the net or or check your emails. You are also welcome to use our small video library to watch your favorite movies. 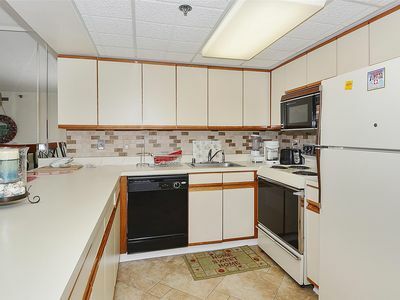 ***Our unit has been completely updated (new appliances, Hardwood floors, etc.) 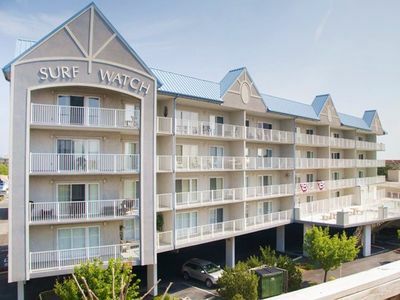 in the last 3 years and in fact was rented to a timeshare company with very high and strict standards. 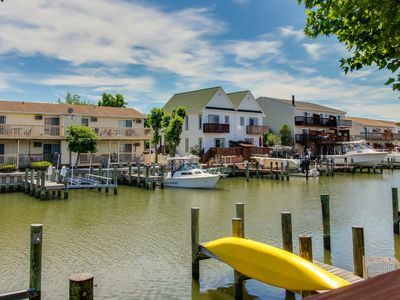 Keywords: Townhouse community off of 94th St. On the water with two decks and boat dock. Loft, separate bedroom, 1.5 bathrooms, sleeps 6. Short walk to the beach. Plenty of parking. FREE DAILY ACTIVITIES!!! 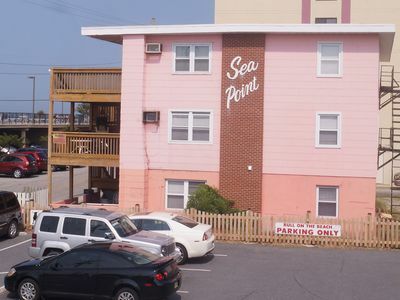 1.5 BLOCKS TO BEACH!!! COMMUNITY OUTDOOR POOL!! 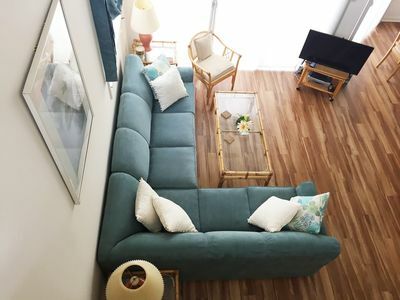 Cozy 1 Bedroom Right on Canal! 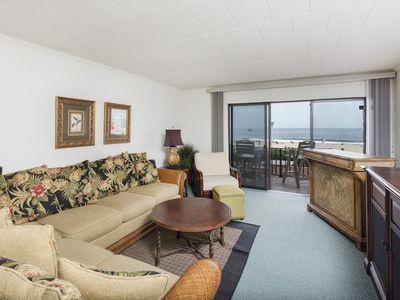 Cute Ocean Block - WiFi & Pool - Walk to Convention Ctr & Seacrets! 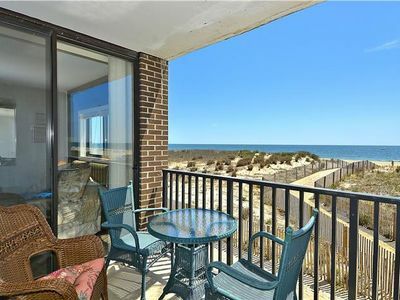 Ocean City Escape - 7 Steps from the Sand! 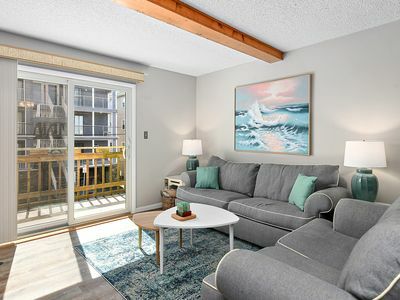 Lovely 1 Bedroom condo steps to beach with outdoor pool! 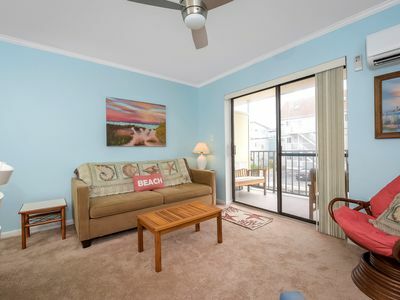 Large 3 BR Town Home That is Centrally Located and Only 1/2 Block to the Beach! NEW! 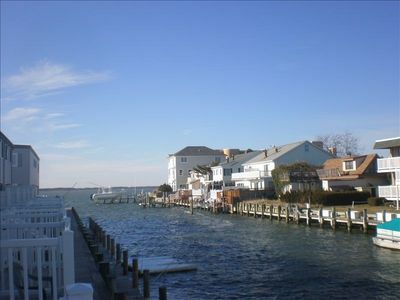 Ocean City Family Home w/ Deck & Bay Views!